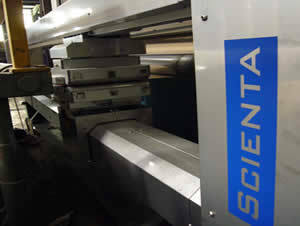 Scienta has developed a new revolutionary non-radioactive measurement technology for the measurement of Basis Weight and Moisture for the web based production lines like paper machines and coating lines. Both measurements are applied in the same sensor. Sensor is manufactured around enhanced patented Microwave technology and highly sophisticated software algorithm with digitally controlled microwave frequency controller. Due to new microwave technology sensor provides ultra wide measurement range for Basis Weight and Moisture. Sensor has built-in compensation for X-Y-Z movement. 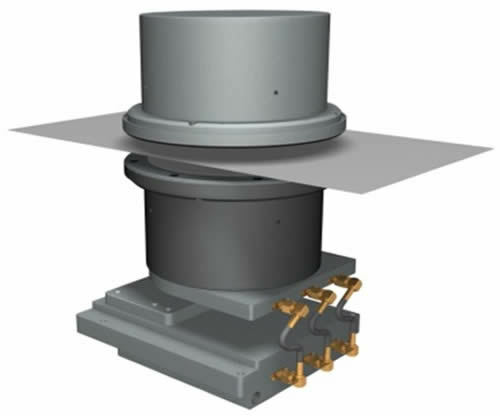 The Microwave sensor 7250S is designed and solidly built to withstand heat, dust, resin, etc. and relies on 50 years of measurement experience. The Sensor can be installed either double sided or single sided with different types of scanners including C-Frame, Mobile C-Frame, Single Sided Scanner, O-Frame and Fixed Point sensor. Sensor replacement kits are also available for other manufacturers' scanners. Measurement data in the QCS scanning sensors is processed with high performance 32-bit RISC processors to get the performance needed to do real-time floating-point calculations in the sensor board. Furthermore, the whole electronic part of the sensor is fitted on a single PCB board, which is embedded into the sensor mechanical structure. Component count as well as the number of spare parts is minimized. 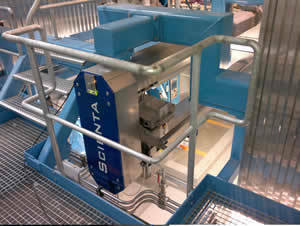 Scienta has pioneered the use of processor controlled measuring heads capable of real-time linearization of the measurement signal. Thanks to Fieldbus or Modbus connection, the output signal can be easily and accurately interfaced to all sorts of computers, DCS or PLC equipment. The Fieldbus connection enables monitoring of diagnostic data available inside the measuring head and controlling of the head in manners not possible with analog systems. The sensor electronics are built into the receiver body making it a highly compact unit. Temperature compensation as well as the condition monitoring are part of the extensive functionality of the Scienta developed sensors. 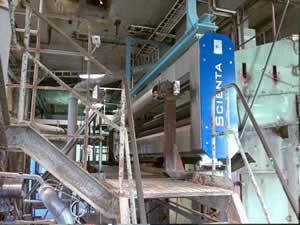 Scienta offers basic machine control strategies including Decoupled Weight Control, Dry stock Flow Control and Decoupled Moisture Control. 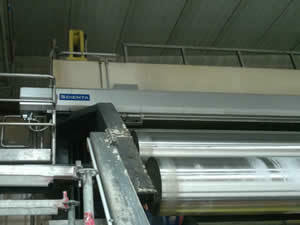 Further controls such as Consistency control and CD controls may be implemented using actuators and sensors as needed. The basic control strategy is a Machine Direction (MD) type of control but Scienta can provide also many profile control applications. Each machine and process type needs to be evaluated for implementing the best control strategy.